In the early 2000’s Samy Kamkar wrote JS.Spacehero, a bit of computer code that displayed the words “Samy is my Hero” on your screen when you clicked on his MySpace page. The code did not stop there however; when you clicked on his profile, JS.Spacehero also copied onto your MySpace page, so anyone who clicked on your page also saw the words “Samy is my Hero” on their screen. The code would also copy onto their computer, and whoever clicked on their page would see the message, and so on and so forth. In just 20 hours, the virus hit over a million different accounts, making JS.Spacehero the fastest spreading virus ever. When Samy deleted his page in a panic, he took down the entirety of MySpace with him. Of course, the US government frowns upon this kind of technological chicanery, and Samy Kamkar was hit with a felony charge. The importance of this story is not about computer hacking or technological laws; it's about something much bigger. Just how connected is everybody on earth? You may have heard of the idea of Six Degrees of Separation, the theory that everyone in the world is interconnected in a path of 6 or fewer intermediaries. 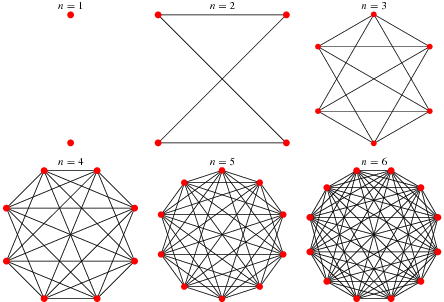 Before we can explore this idea however, we must introduce the mathematical notion of a network, or more properly, a graph. A graph is a structure made of nodes and connections between nodes, called edges. 6 examples of graphs are shown below. The red dots are nodes and the black lines between nodes are edges. Simple enough, right? Now let us try someone potentially harder: Shakira. It turns out we need to go only two steps to reach Kanye West from Shakira. Shakira sang “Can’t Remember to Forget You” with Rihanna, who featured on the Kanye West song “Famous.” As it turns out, Rihanna is a very important node in this graph, as she connects many disparate artists to Kanye West. In graph theory, nodes like Rihanna are known as hubs because their number of connections far exceeds the average. One important feature we see in most graphs is clustering. The idea of clustering is that related nodes are highly interconnected with each other. In this case, musicians in Kanye West’s genre, rappers, have many connections to each other. The final concept we need to explore is the strong law of weak ties. Simply stated, the path between completely unrelated nodes are made shorter by seemingly random or surprising connections between two nodes. In this case, let’s take the path between two very different musicians: Kanye West to the Turkish singer Tarkan. It turns out that Tarkan made a song with Wyclef Jean, called “Aman Aman.” Wyclef Jean made a song with Kanye West called “Sweetest Girl.” The importance of this connection in the structure of the graph cannot be understated, because it connects a whole new group of artists to Kanye West in a relatively short amount of steps! Now let’s look at the big picture. Can any two random people in the world really be connected in 6 or fewer steps? The evidence suggests this is possible. Facebook data suggest that 92% of all Facebook users are connected in 5 steps. The connections on Twitter are even more close than that. Studies have shown that the average path length between two Twitter users is between 3 and 4 steps. Our friend groups can also give us insight into how interconnected we are. You can think of your tight knit group of friends like the rappers in our musician graph since most of them are friends with each other. If these were our only connections however, the world wouldn’t be very interconnected at all. Our more popular friends, the big names on campus that function much like Rihanna on our musicians graph, connect us to large amounts of people. Even more important are our random acquaintances. Our friends across campus, across towns, or across oceans are the people that really connect us to the rest of the world. So go out there and meet people! You never know who you might connect with.